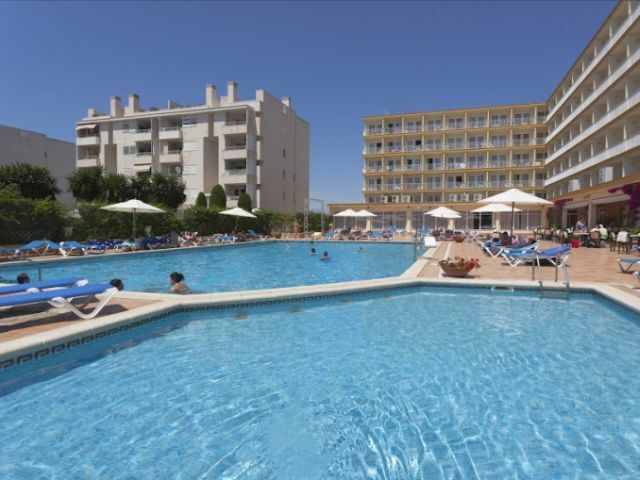 The Roc Leo Hotel is 9 kilometres from the exciting and beautiful city of Palma, and a stones throw from the beautiful Playa de Palma beach. The hotel is open almost all year and is not only popular with sun,seekers but also business people, cyclists and other groups wanting to holiday near to Palma. The Roc Leo Hotel restaurant is renowned for its excellent food and the spacious bar offers a relaxing atmosphere to unwind in. The comfortable guest rooms are well equipped with air,conditioning and satellite TV and the service is warm and friendly, all making this popular hotel excellent value for money. Book into the Roc Leo Hotel and enjoy the delights of this attractive resort. Local Tips: The nearest beach, Balneario Zero, is known to be the best locally for water,sports, especially windsurfing, kite,surfing and sailing. Also cyclists find the hotel an ideal location as do those wishing to explore the delights of the town of Palma.